It lies about 10 km east of Singaraja on the coast road. It is a lovely looking temple, perhaps one of the most impressive in North Bali, and the location of the famous original carving of the Dutch cyclist which you see copied all over Bali. 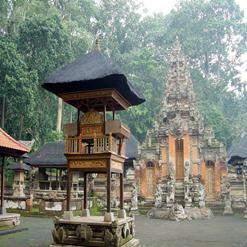 The temple is devoted to deities of agricultural matters.